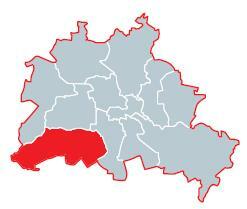 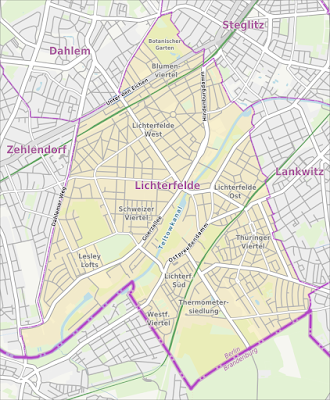 Like many boroughs around the centre of Berlin, Lichterfelde only became part of "Greater Berlin" in 1920 to join the district of Steglitz which recently was joined with the district of Zehlendorf to form the new borough of Steglitz-Zehlendorf. 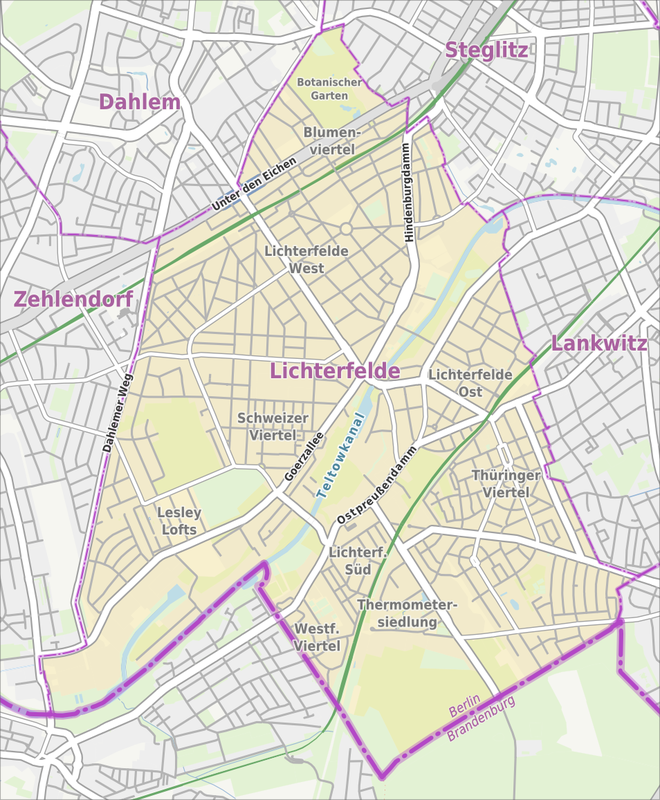 But even Lichterfelde was made up of smaller parts from Dahlem, the home of Berlin's Free University, to Lichterfelde West with Villas and the Klinikum Benjamin Franklin, the Berlin Botanical Garden and the former US Allied McNair Barracks, and to Lichterfelde Ost with more simple residential areas. 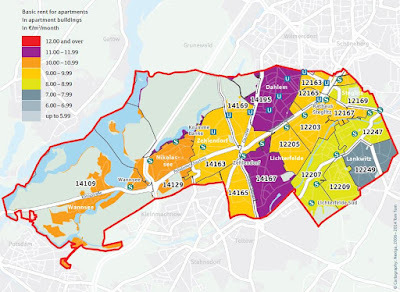 All these areas have kept their individuality with distinct local centres for schools, doctors, shopping and services which provide a focal point for identification with the immediate environment, called "Kiez" in German. 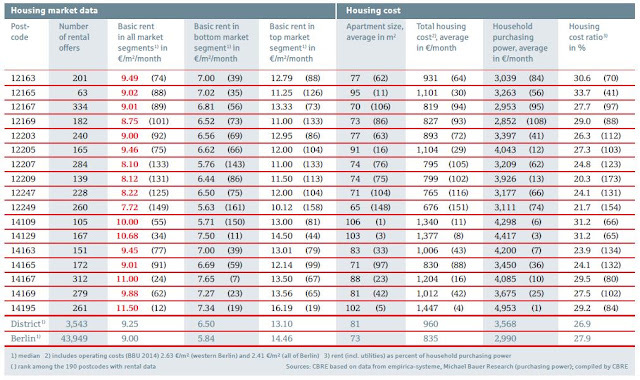 Looking at the housing market for the area it reflects the diversity of its history. 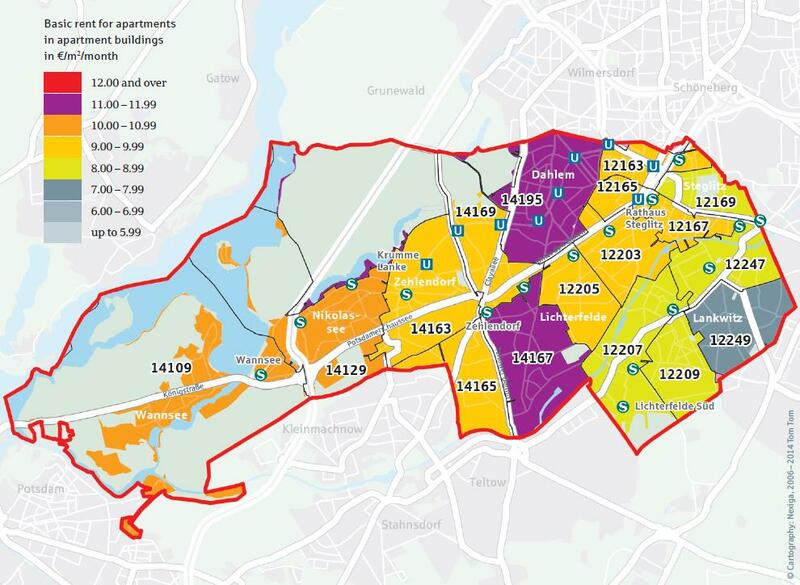 It covers many of the various rent levels with Lichterfelde's corner of Dahlem and Lichterfelde-West being in the second tier and the rest in tiers four and five out of eight. 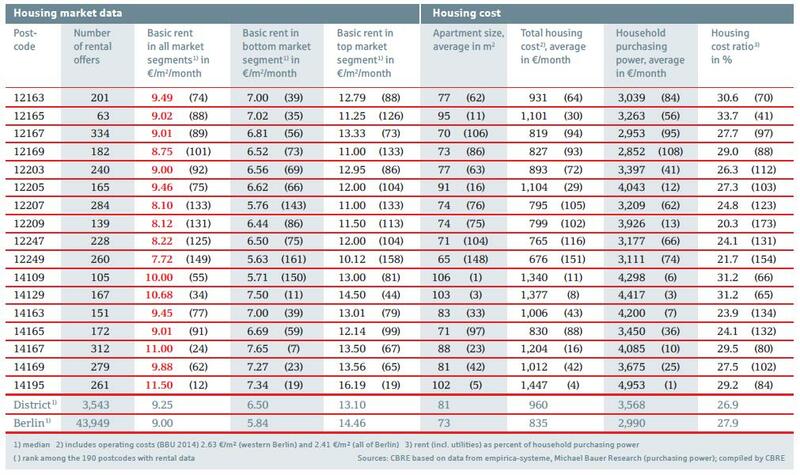 The rent levels are shown in this table of Housing Market Data provided in the Housing Market Report 2017.